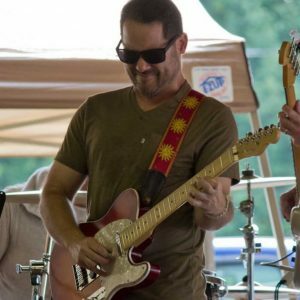 Jeremiah Williams has been a musician for over 20 years. He began studying the violin when he was 12 and picked up the guitar as his main instrument a few years later. He is formally musically educated and self-taught with the many years of lessons and currently majors in Music at Kutztown University. He performs at venues in North Eastern Pennsylvania and around the Poconos, Lehigh Valley, and New Jersey. His act has taken him to national venues and plans on going on tour again when the time is right. He is available for hire. Jeremiah Performs his solo Variety Show with the audience in mind. His setlist includes many familiar pop songs, classic rock, blues and deep cuts from the 70’s, 80’s and 90’s through today. He spans many genres of music including pop, rock, jazz, blues, grunge and acoustic hard rock. Stevie Ray Vaughan, Red Hot Chilli Peppers, Ray Charles, The Beatles, The Cure, Zac Brown Band, Van Morrison, Ray LaMontagne, R.E.M., Red Hot Chili Peppers, Ed Sheeran, Pat Martino, Jim Hall, Pearl Jam, Sarah McLachlan, Billy Joel, Jorma Kaukonen, John Mayer, Cyndi- Lauper, City & Colour, U2, Coldplay, Cat Stevens & Many More. 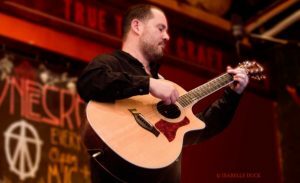 SOLO – Jeremiah plays his guitar and sings for smaller audiences in a more intimate setting as a solo artist using his vast knowledge of Music Theory and Vocal techniques. DUO- In his Duo, he performs with a Bass Player conjuring up a deep and soulful rhythmic sound and great energy. 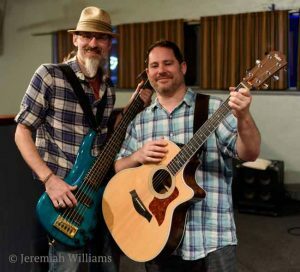 POP BAND- Jeremiah performs in a Popular commercial band and as a well as a Blues based fusion band. 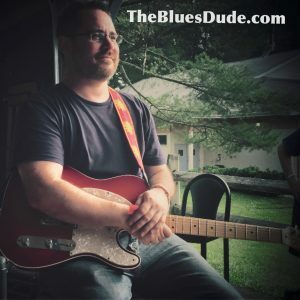 BLUES BAND- In this setting Jeremiah otherwise known as The Blues Dudeis known to stimulate the Blues community with his blues improvisation styles based all the way back from the 1940’s Wille Dixon, to the clever styles of Robben Ford and many others. Jeremiah & Victor Phillips performing as a duo.